KeyStore Explorer is an open source GUI replacement for the Java command-line utilities keytool and jarsigner. KeyStore Explorer presents their functionality, and more, via an intuitive graphical user interface. A software developer should be able to focus on the problem at hand without struggling with obtuse command-line tools. With KeyStore Explorer difficult security tasks such as key pair generation and code signing become quick and simple. KeyStore Explorer can be used to create and navigate KeyStores via its intuitive graphical interface. The contents of KeyStores can be created and modified, imported and exported using just a few simple dialogs. KeyStore Explorer provides the capability to digitally sign Java applications in both JAR and J2ME "MIDlet" form. 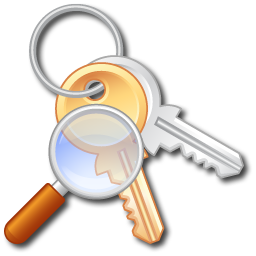 KeyStore Explorer supports a variety of KeyStore, key pair, private key and certificate formats and can convert between them. See features for a list of supported formats. KeyStore Explorer can be used to sign certificates with your own CA. A wide range of certificate extensions is supported, see specifications. KeyStore Explorer is written in Java and will run on any machine that has an Oracle JRE installed. Its capabilities are therefore available on Windows, Mac, Unix and Linux.